Any Middle School athlete going into Grades 6, 7 or 8 can participate in Middle School Tennis. The season takes place each fall after school starts. If you have questions about the Middle School program, please email the Middle School Girls Tennis coach. 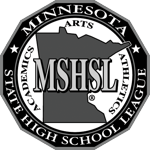 THURSDAY: 3:30PM Match at Lakeville McGuire MS (all players will attend this match and we will try play as many girls as we can based on Lakeville's number of players). DRESS WARM! FRIDAY: Picture Day (Be sure to wear your MS Tennis shirt or navy blue Laker gear for picture) and pizza “party” day. The coaches will provide pizza and the girls can bring a drink for this “fun day”. MONDAY: 4PM Match at Lakeville Kenwood MS (coaches will set up line up on Friday at Picture Day) and the rest of the team will have their final team practice. And that’s a wrap on this soggy season --- please let me know if you have positive feedback or helpful suggestions for future MS Tennis seasons by contacting me at bfuller@priorlake-savage.k12.mn.us . Our district is committed to upgrading the tennis courts next summer and we will look at additional feedback to determine how to best shape this middle school sport going forward. I also want to give a public “thank you” to our coaches for giving their best effort with such a large group of girls, the struggle of limited space, and the soggy weather. We encourage the girls to keep playing tennis --- and we have coaches in our programs who offer summer lessons, so check that out next spring on our www.plhsactivities.org website. Thank you for your participation this fall!